Why are we afraid of the Spirit World? How can I tell what type of spirit it is? What Crystals Can Help With Getting Rid of Negative Spirits? Both of these photos were made at about the same time (one after the other) with two different cameras, both digital cameras. You can see the light in the second one on my shoulder. 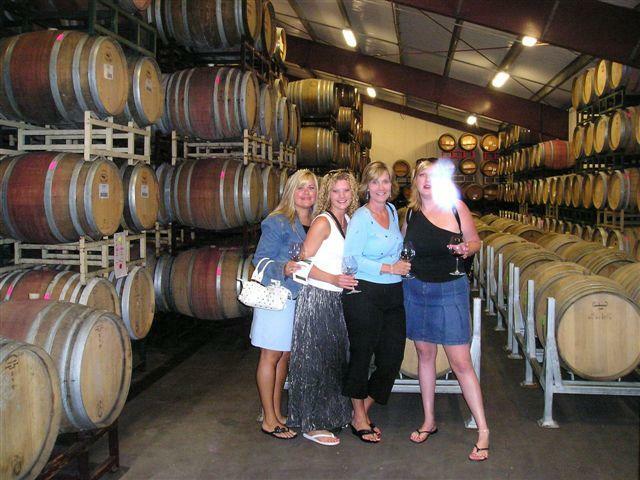 I don't know if it is anything, but we were in a winery (Bouchain in Napa, CA). We were there visiting the winery and were in the barreling room. I did not see that light or feel anything weird, but do believe in angels.